Archive Why is the FBI so threatened by Assata Shakur? Why is the FBI so threatened by Assata Shakur? Black liberation activist Assata Shakur was placed on the FBI’s most wanted terrorist list. As the only woman and only black person on the list, what makes Shakur such a threat? 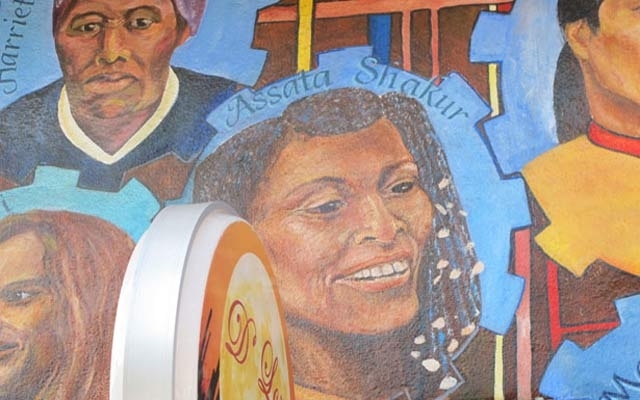 Colorlines outlines the history of this list and Assata Shakur’s background in this article. Her political involvement traversed the Black Panther Party and the Black Liberation Army, ultimately leading to her surveillance through the FBI’s COINTELPRO program. As a result, she fled and went into hiding – and is likely still alive today. Her 1987 autobiography provides some insight into her political affiliations and movement, but still much is left unsaid. Learn more about her heroic actions, uncompromising political attitude, and unwavering love for Blackness in the article below.